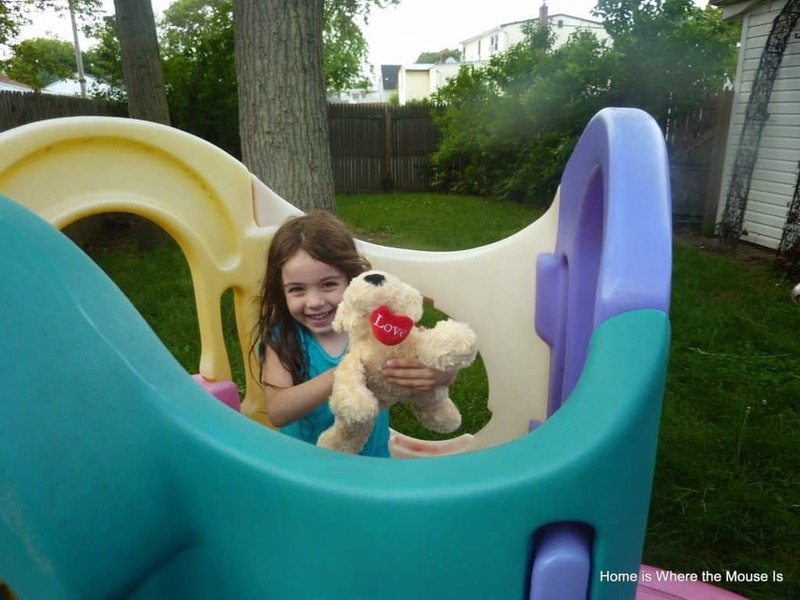 Valentine’s Day is almost here and love is in the air. Celebrate the day with the ones you love by having a Lady and the Tramp Disney Family Movie Night. 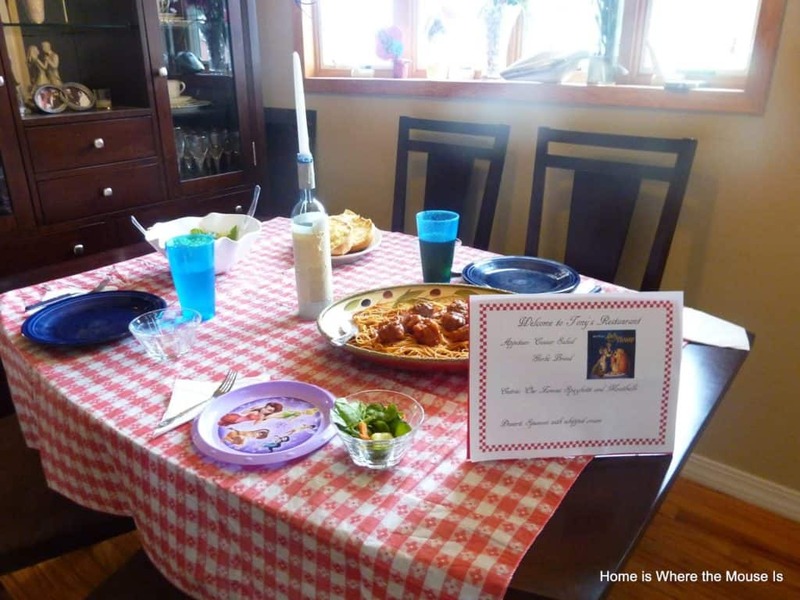 Turn Valentine’s Day into a bella notte with these simple ideas. 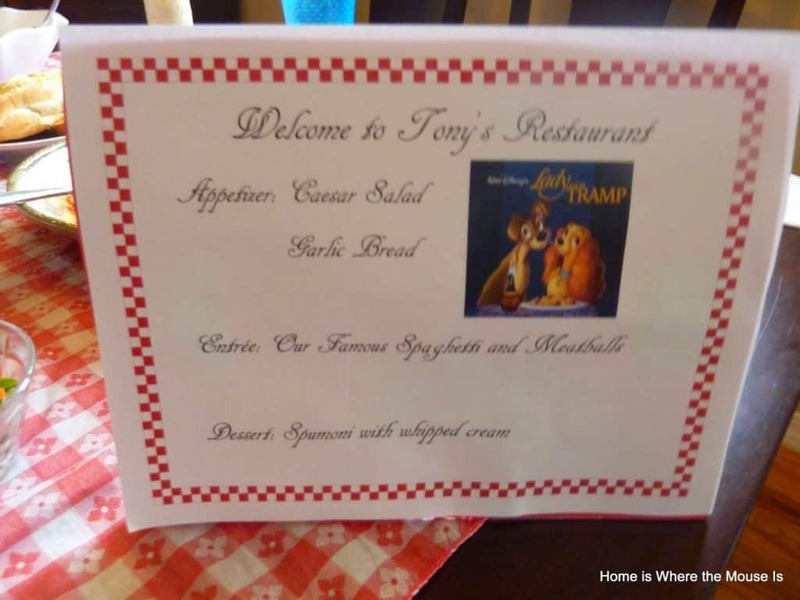 We used the famous scene from Tony’s Restaurant as inspiration for our menu. Our appetizers consisted of Caesar salad and garlic bread. Dinner was spaghetti with homemade meatballs and sauce. 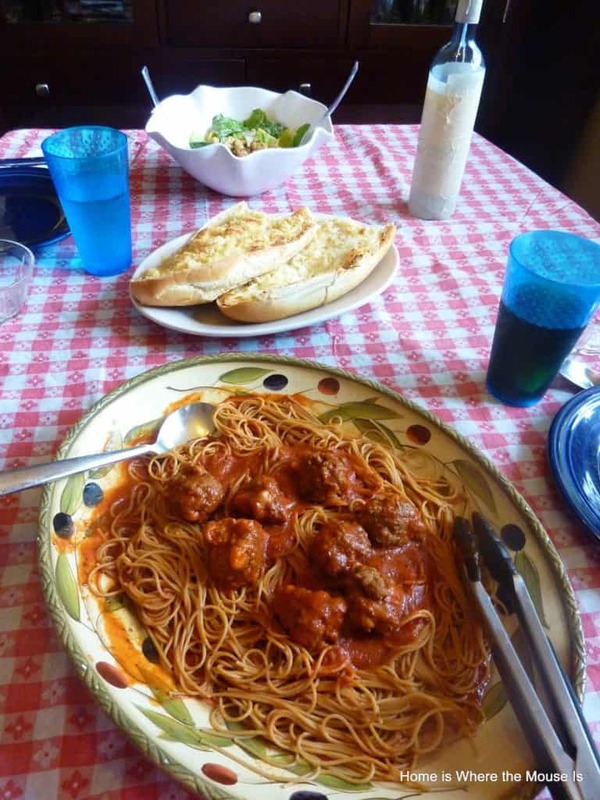 Unfortunately, there was no spaghetti strand sharing or meatball nudging. For dessert we had spumoni, a molded Italian ice cream made with layers of different colors and flavors. The table was dressed with a red and white checkered tablecloth. We recycled an old wine bottle to make a festive candle holder centerpiece. You could also use tea lights or battery operated tea lights to decorate your dinner space. We decorated our movie space with each and every dog stuffy we owned. 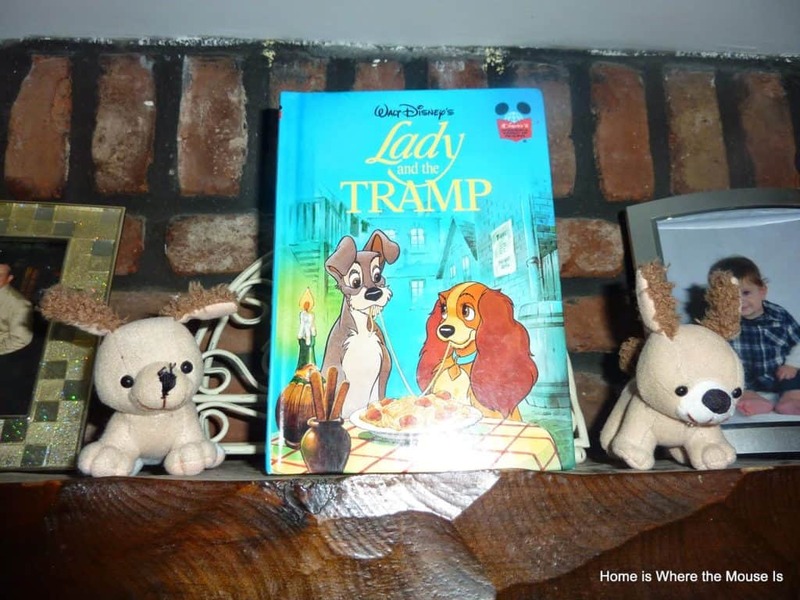 They were all set up along the fireplace along with a copy of the Lady and the Tramp book. 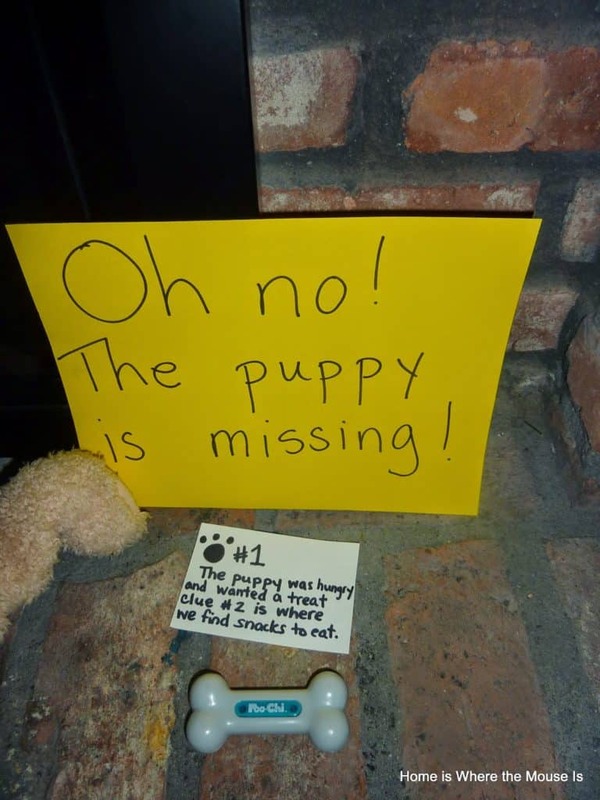 Before dinner we played a game of “Where’s the Puppy?” A puppy has run away. 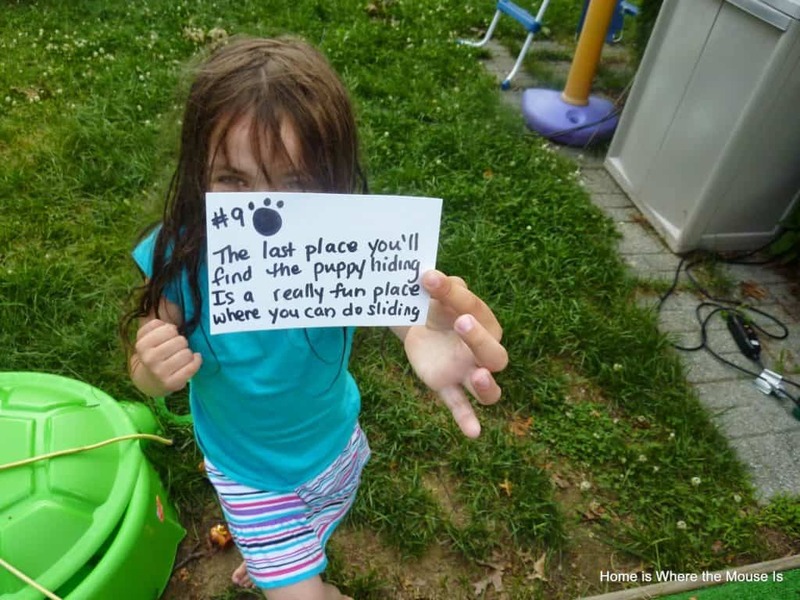 The kids needed to use the clues that were written on index cards to find the location of the puppy. After dinner, we watched the movie and just relaxed with full bellies. 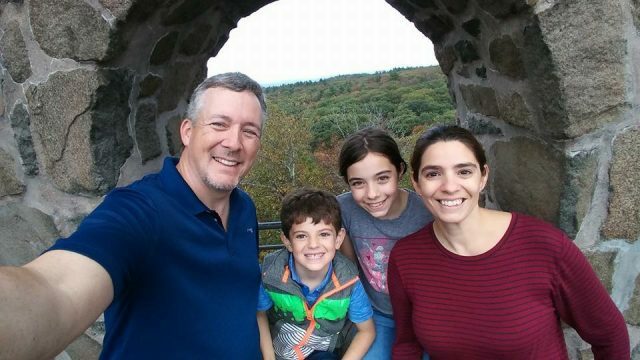 Sometimes the most simple occasions could be the most fun. 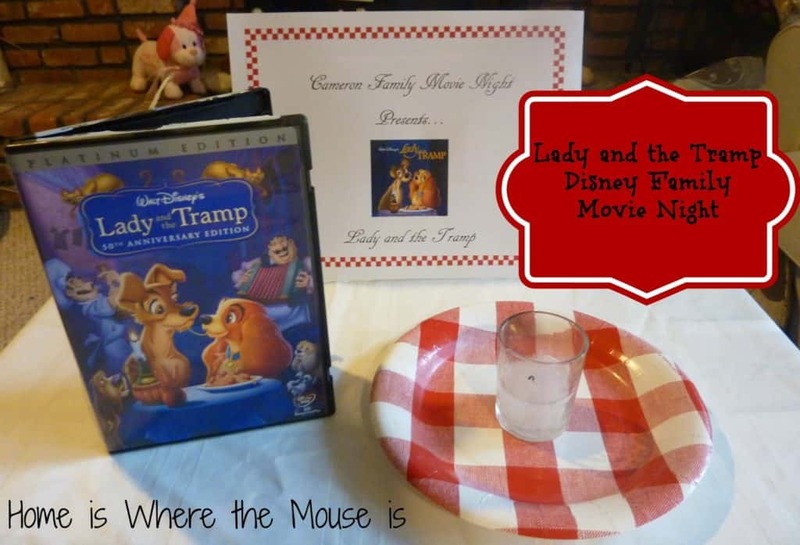 Our Lady and the Tramp movie night is the perfect occasion for spending time with the ones you love to enjoy a good meal and watch a heartwarming film. Stay tuned for an extra special way to end this movie night. Coming soon!